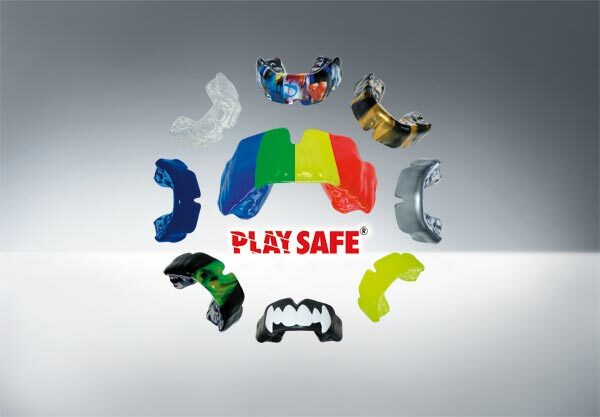 Each Playsafe sports mouthguard is individually fabricated according to the Playsafe guidelines. Playsafe is available in your dental practice. There impressions of the upper and lower jaw will be taken. The sports mouthguard will be fabricated in the dental technology, the handing over and control will again take place in the dental practice. 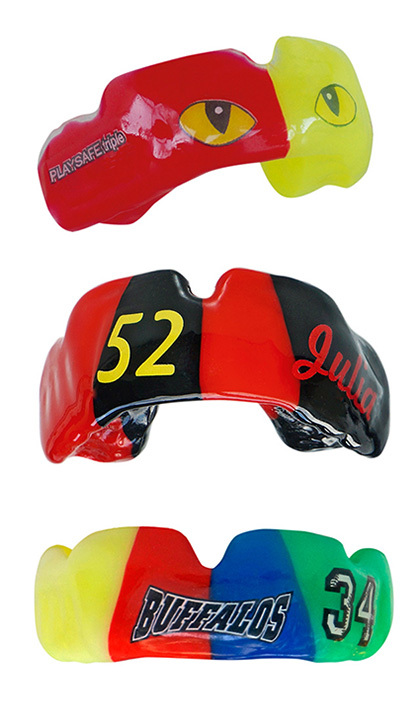 An original Playsafe sports mouthguard always consists of several laminiated layers, shows the Playsafe labelling, the name of the athlete and the type designation. 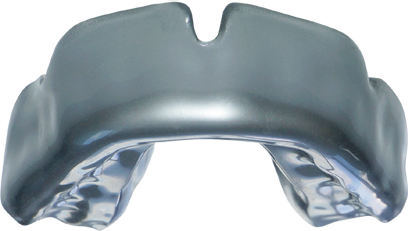 The multiple layers allow the readaptation of all Playsafe types in case of changing dentition. For further informations we offer to the athletes our Playsafe Flyer. 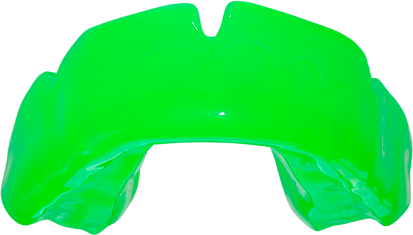 Why individually fabricated Playsafe sports mouthguard? 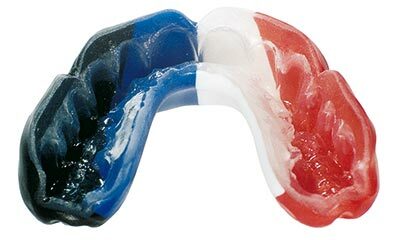 Sports mouthguards are not all equal! 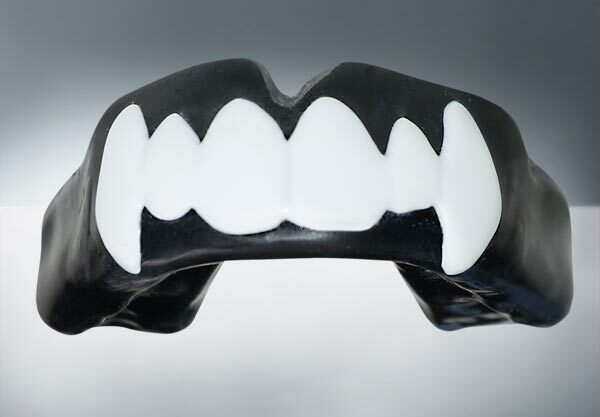 Many scientific studies show that a Boil & Bite mouthguard provides a false sense of protection due to the dramatic decrease in thickness when the athlete bites it into place during its softened state (biting through). 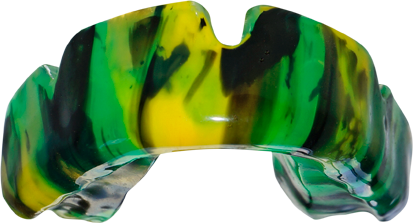 An original Playsafe sports mouthguard is always multi-layered and has a circulating protective border (buccal shield) that prevents too large movements of the lower jaw in case of lateral impacts. Boil & Bite mouthguards fit poorly and become loose. 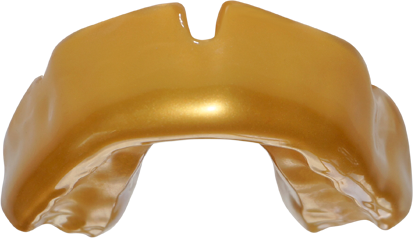 The athlete has to hold this mouthguard onto the teeth, this prevents him from producing outstanding performances. 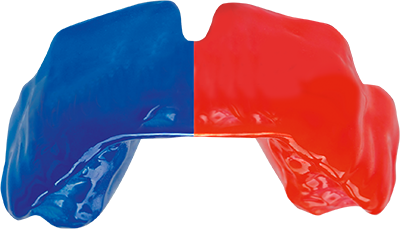 Playsafe mouthguards fit exactly onto the teeth, have a strong fit, allow movement for the opposing jaw as well as to breathe freely and to speak normally. 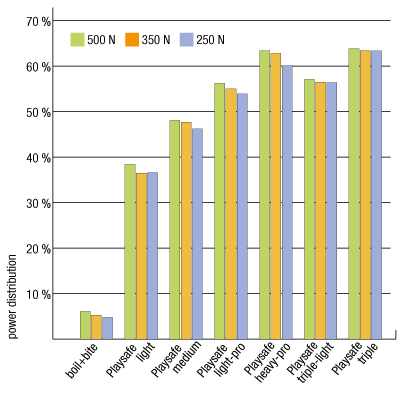 Intensive endurance tests show the high protective effect of the Playsafe sports mouthguard types. Resistance against deforming and pendulum test to measure power absporption and distribution. 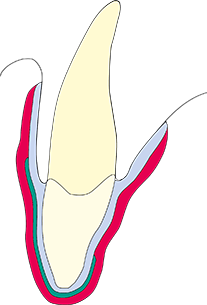 This diagram shows the percentage of the power distribution up to the first molar. A high percentage is the condition to efficiently distribute pointed hard impacts over the whole sports mouthguard. 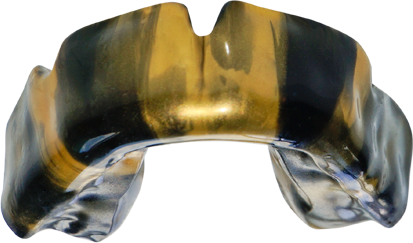 As each other Playsafe sports mouthguard also the Playsafe triple has a „buccal shield“ despite the movability of the lower jaw. 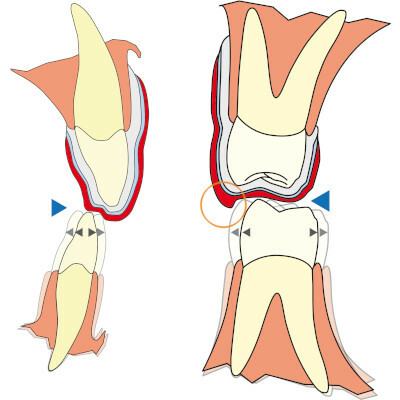 This circulating protective border (orange circle) prevents too large movements of the lower jaw in case of lateral impacts. Suitable für all sports. 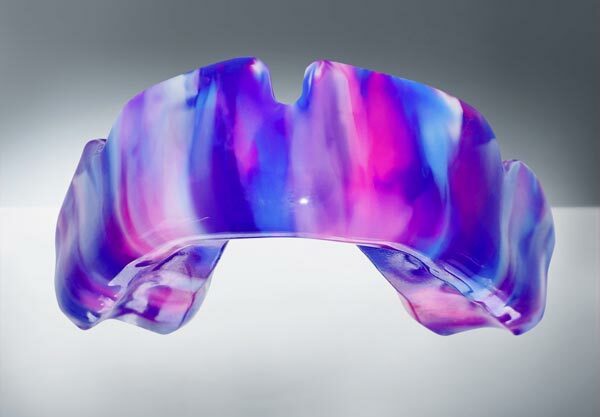 Three-layered sports mouthguard with hard mid-layer for the distribution of impacts. Fabricated out of the 3-layered Playsafe triple foil. Suitable for all sports. 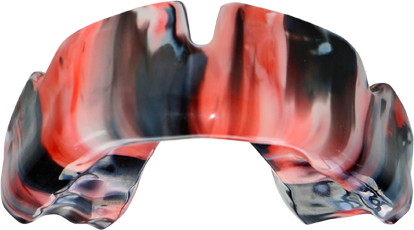 Three-layered sports mouthguard with hard mid-layer for the distribution of impacts. Fabricated in three working steps out of three foils. For sports where objects with a large surface area may be received by the jaw (for ex. boxing gloves). Fabricated in two working steps out of two foils. Suitable for all sports – especially for small mouth dimensions. 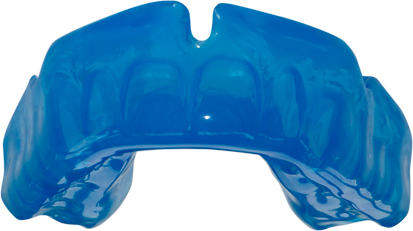 3-layered sports mouthguard with hard mid-layer for the distribution of impacts. Fabricated out of the 3-layered Playsafe triple light foil. Suitable for all sports – especially for small mouth dimensions. 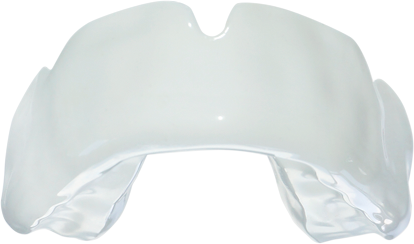 3-layered sports mouthguard with hard mid-layer for the distribution of impacts. Fabricated in three working steps out of three foils. Protects mainly against intra-oral injuries caused if the rows of teeth hit against each other in case of sports where integral helmets are worn (for ex. Downhill Biking, Motocross, Skiing). Fabricated in two working steps out of two foils. 25 colours are available for each Playsafe type. All materials and colours for the fabrication of a Playsafe sports mouthguard meet the conditions for tested biocompatibility. The materials do not contain plasticizers. 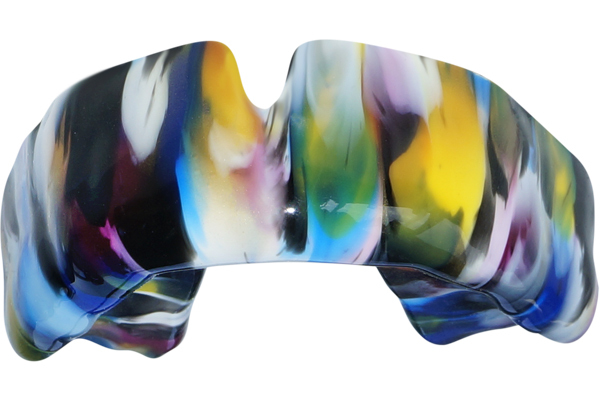 Playsafe sports mouthguard out of up to 4 colours! 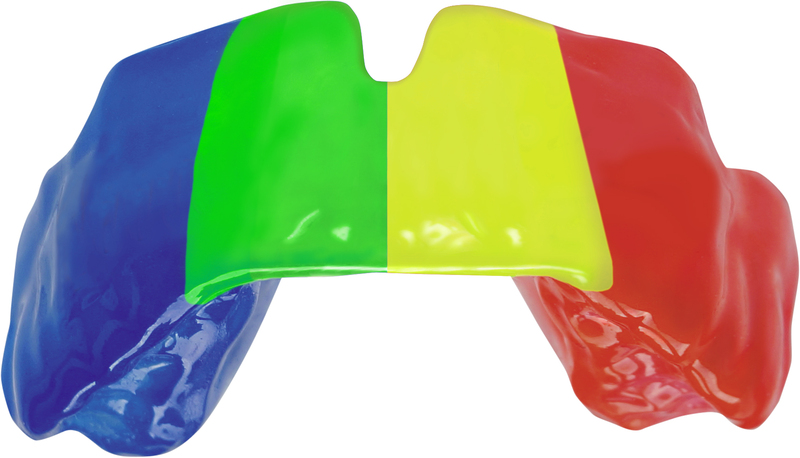 You can compose your own multi-coloured mouthguard out of the colours 1 to 15. 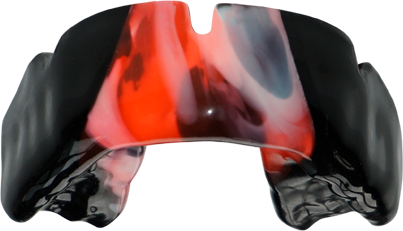 Realize your Playsafe mouthguard with an extraordinary motif or your own individual design. For cleaning and degreasing of Erkoflex before combination. 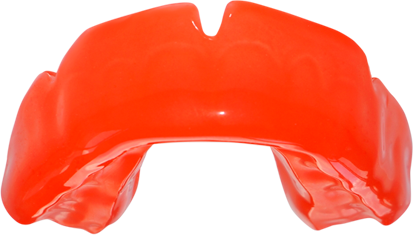 When fabricating Playsafe sports mouthguards or positioners. Ensures the firm bonding between Erkoflex-types. Special colours available upon inquiry. 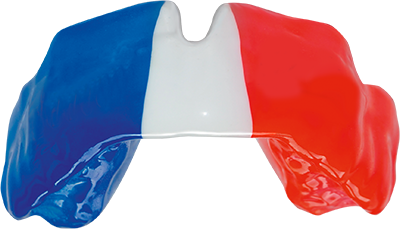 To hygienically keep sports mouthguards, positioners, Silensor-sl snoreguards, etc. Permanently kneadable, reusable, transparent blocking out material. Resists thermoforming temperature. 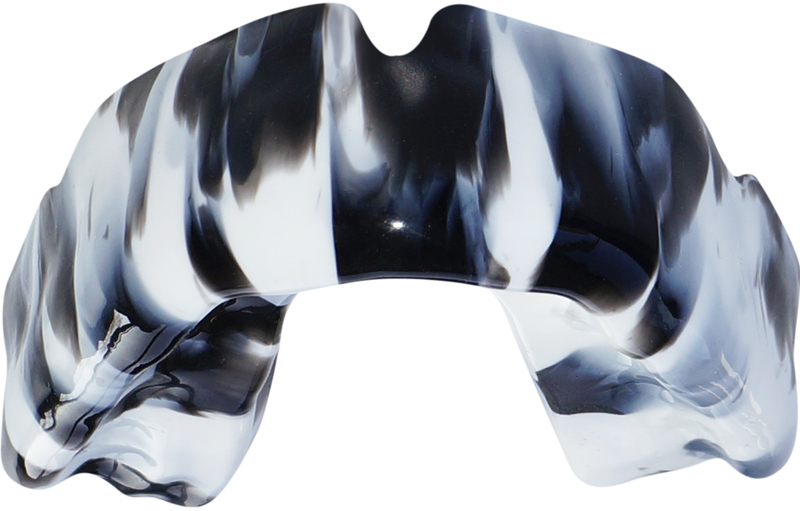 Ideal for the protection of residual teeth and to block out undercuts. To form and shine Erkoflex. The hot surface can be smoothed and shined by shortly pressing a FG sheet on. For fixation of a Playsafe sports mouthguard on the helmet. Degrease the end of the helmet-strap and the fixing area on the mouthguard. Heat the fixing area on the mouthguard. Press the heated helmet-strap end immediately onto the fixing area of the mouthguard. Up to 14 logos will be printed on an Erkoflex foil in the size of 125 x 125 mm. A high-quality UV printing technique allows Erkodent to print preferred designs in intense colours directly on Erkoflex (thickness 0.7 mm). Choose preferred design an determine where it should be applied. Mostly at the visible surface during wearing. 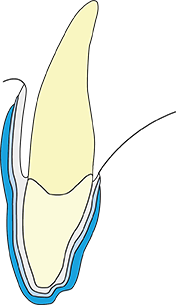 Because of the bite changing it is not recommended to apply designs at the occlusal surface. Erkodent needs the data of the design as .jpg or .pdf. The print will be effected immediately and sent by letter to the client. The application o the sports mouthguard is very simple because of the Erkoflex properties. Heat the sports mouthguard on the model best with the hot air burner (177 540) at the area to which the design should be applied. Place the design that has been cut to size before on to that area and press on with an FG-sheet. 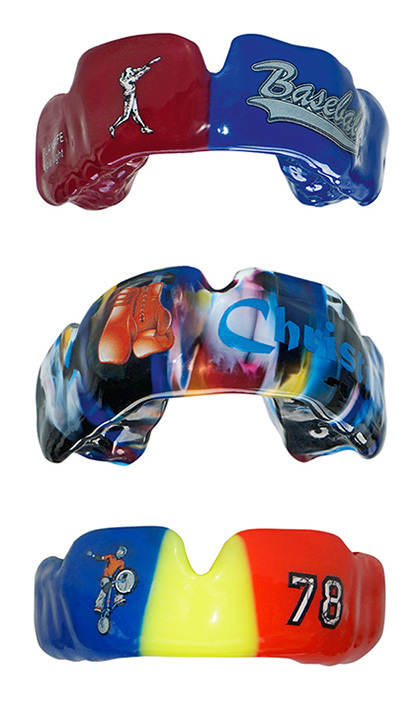 Completely free individualisation of the Playsafe sports mouthguard types. Up to 2 logos (also different ones) will be printed on an Erkoflex foil in the size of 40 x 60 mm. A high-quality UV printing technique allows Erkodent to print preferred designs in intense colours directly on Erkoflex (thickness 0.7 mm). 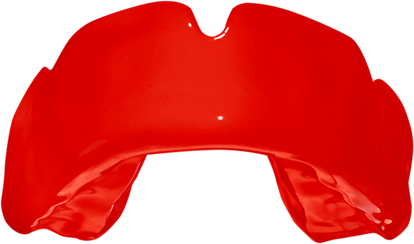 The application on the sports mouthguard is very simple because of the Erkoflex properties. Heat the sports mouthguard on the model best with the hot air burner at the area to which the anterior teeth should be applied. Place the anterior teeth onto that area and press on with an FG-sheet. Completely free indvidualisation of the Playsafe sports mouthguard types. Choose preferred design or anterior teeth and determine where it should be applied. Mostly at the visible surface during wearing. Anterior teeth, withe, punched out of Erkoflex 2.0 mm. 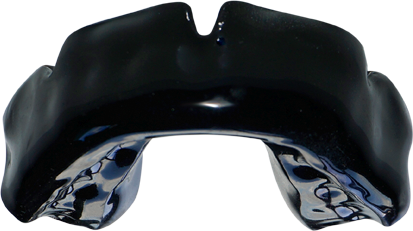 The application on the sports mouthguard is very simple because of the Erkoflex properties. 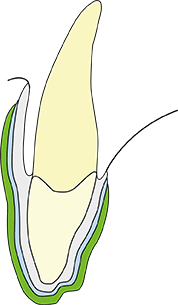 Heat the sports mouthguard on the model best with the hot air burner at the area to which the anterior teeth should be applied. Place the anerior teeht onto that area and press on with an FG-sheet. Completely free indvidualisation of the Playsafe sports mouthguard types. 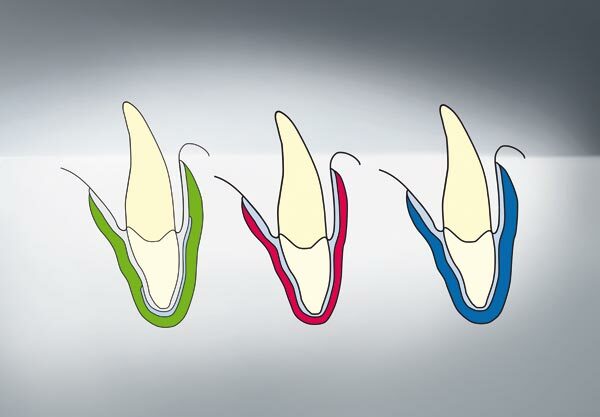 Choose preferred design or anterior teeth and determine where it should be applied. Required accessory for the fabrication of Playsafe triple sports mouthguards with the unit combination of Erkoform serie 3 and Occluform-3. Fabrication of of Playsafe triple sportsmouthguards. The Playsafe face chuck is clamped in the upper model plate of the Occluform-3 and the lower jaw model is fixed onto it. Fabrication of Playsafe triple sports mouthguard. 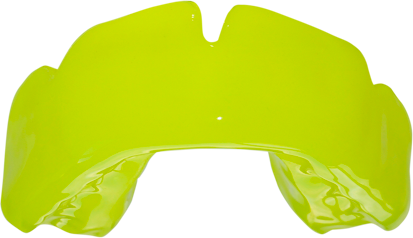 Playsafe sports mouthguard is fabricated individually. Playsafe heavy-pro,most resistant type, 3 layers, with hard intermediate layer. In case of extremely hard and pointed impacts. 1x Erkoflex 2.0 mm transparent, 1x Erkodur-S 0.8 mm, 1x Erkoflex 4.0 mm transparent or coloured , 1x Erkobox, 1x instructions, 1x sample FG-sheet, 1x sample degreasing agent. Please indicate colour! Field hockey, inline skating, squash, polo, ice hockey, karate, kickboxing, rugby, etc. In case of extremely hard and pointed impacts. Playsafe label cover, Erkoflex 0.7 mm, 6.0 x 4.0 mm. Heat the label area with the hot air brunner (respectively first practice with a leftover of a foil) an put the label on top, attention, it cannot be removed anymore. Press on the label with the FG sheet. If necessary, heat the edge of the label again and press it on with the FG sheet. Allow to cool down and smooth it with Liskosil. Individualisation of Playsafe sports mouthguards. 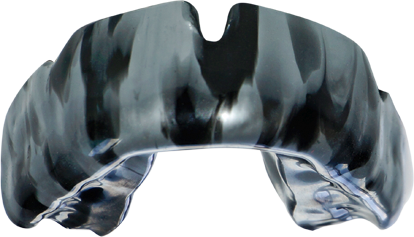 Playsafe sport mouthguard is fabricated individually. Playsafe light consists of two laminated foils with impressions for the lower jaw. 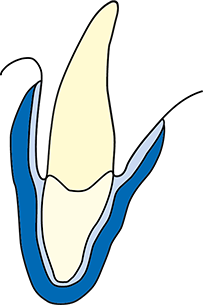 It is identified with name and type Playsafe and protects rows of teeth that hit against each other from intraoral injuries. 1x Erkoflex 2,0 mm transparent, 1x Erkoflex 2,0 mm transparent or coloured , 1x Erkobox, 1x instructions, 1x sample FG-sheet, 1x sample degreasing agent. Please indicate colour! Will be used in case of cramped oral situation for the following sports: boxing, biking, basketball, soccer, judo, wrestling etc. In case of hard and pointed impacts. 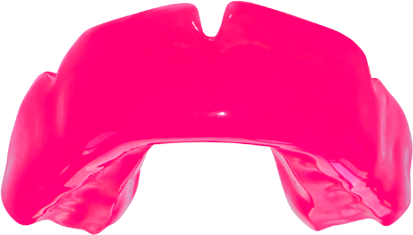 Playsafe sports mouthguard is fabricated individually. Playsafe light-pro with a hard intermediate layer is suited in case of cramped oral situation. 1x Erkoflex 2.0 mm transparent, 1x Erkodur-S 0.8 mm, 1x Erkoflex 2.0 mm transparent or coloured , 1x Erkobox, 1x instructions, 1x sample FG-sheet, 1x sample degreasing agent. Please indicate colour! field hockey, inline skating, squash, polo, ice hockey, karate, kickboxing, rugby, etc. 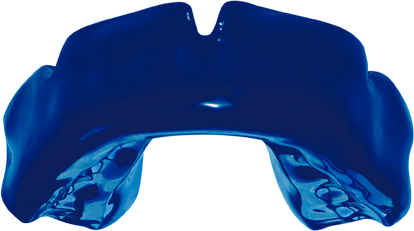 Playsafe sports mouthguard is fabricated individually. 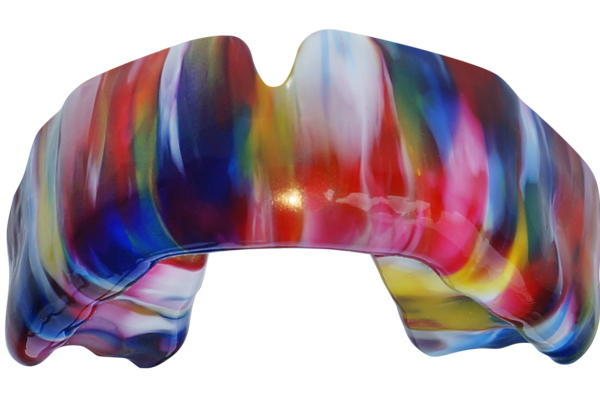 Playsafe medium consists of two laminated foils with impressions for the lower jaw. It is identified with name and type Playsafe and protects in case of large surface impacts. 1x Erkoflex 2.0 mm transparent, 1x Erkoflex 4.0 mm transparent or coloured , 1x Erkobox, 1x instructions, 1x sample FG-sheet, 1x sample degreasing agent. Please indicate colour! For sports whre objects with a large surface area may be received by the jaw, for example boxing, biking, basketball, soccer, judo, wrestling, etc. 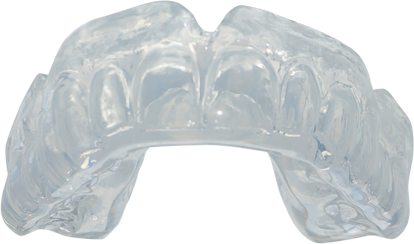 The greater protective effect of laminated sports mouthguards in comparison to single-layered mouthguards is sufficiently known. Allerdings ist die Herstellung eine laminierten Sportmundschutzes ungleich aufwendiger. 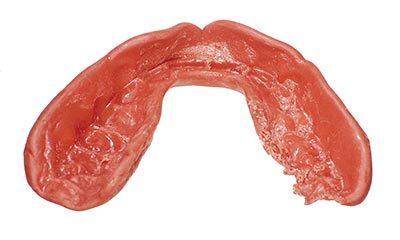 However, the fabrication of laminated sports mouthguards is much more complex. The Playsafe triple plate is already three-layered, inside and outside soft and in between hard. 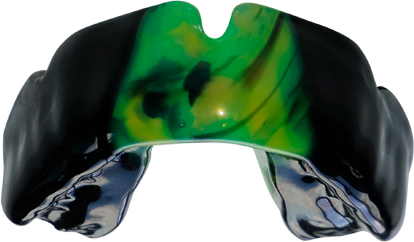 A Playsafe triple can be realized in the same time as a single-layered sports mouthguard, but it offers at least the same protective effect than the laminated top version Playsafe heavy-pro. Thermoform once and imprint the articulation surface in a tricky way, allow to cool off and finish, if desired, also apply the label, ready. 5 Playsafe triple foils transparent or coloured, 1 FG-sheet, 1 instructions, 5 labels. Please indicate colour! Playsafe triple is suitable for all sports. 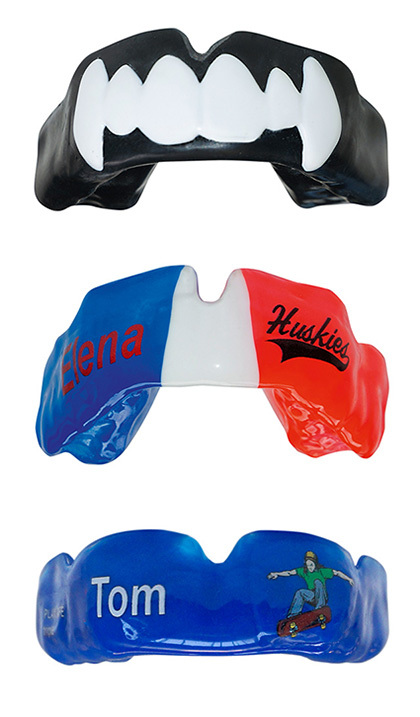 Three-layered sports mouthguard, hard intermediate layer. Playsafe triple light meets the wish, to offer a comfortable mouthguard with highest protective effect also in case of cramped oral situation. Playsafe triple plates are 3-layered, inner and outer side soft, intermediate layer hard. The Playsafe triple plate has a thickness of 5.5 mm. The Playsafe triple light plate has a thickness of 4.1 mm. 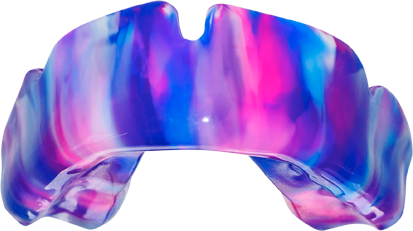 A Playsafe triple light can be realized in the same time as a single-layered sports mouthguard, but it offers at least the same protective effect than the laminated version. 5 Playsafe triple light foils transparent or coloured, 1 FG-sheet, 1 instruction, 5 labels. Please indicate colour! Playsafe triple light is suited in case of cramped oral situation. Playsafe triple light meets the wish, to offer a comfortable mouthguard with highest effect also in case of cramped oral situation. Playsafe triple plates are 3-layered, inner and outer side soft, intermediate layer hard. The Playsafe triple plate has a thickness of 5.5 mm. The Playsafe triple light plate has a thickness of 4.1 mm. 1 Playsafe triple light foil transparent or coloured, 1 Erkobox, 1 sample FG-sheet, 1 label, 1 instruction. Please indicate colour! Required set for the fabrication of Playsafe triple sports mouthguards with the unit combination of Erkoform serie 3 and Occluform-3. A Playsafe triple can be fabricated in the same time as a single-layered sports mouthguard but provides at least the same protective effect than the laminated top version Playsafe heavy-pro. 1 Playsafe triple foil coloured or transparent, 1 FG-sheet, 1 Erkobox, 1 instruction, 1 label. Please indicate colour! 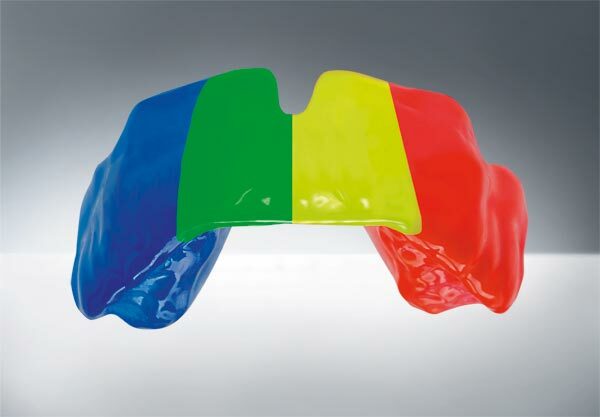 Playsafe triple sports mouthguard is suited for all sports.